Identity theft is the fastest growing crime in America. The FTC estimates that as many as 9 million Americans have their identities stolen each year. One of the ways thieves get hold of your information is "Dumpster Diving." They rummage through trash looking for bills or other paper with your personal information on it, including bank and credit card statements, pre-approved credit offers, checks, bills, tax information, receipts, medical records and other legal documents. 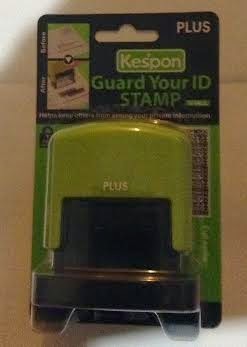 Here is a GREAT solution its called the GUARD YOUR ID PRODUCTS! 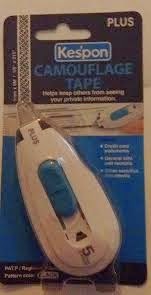 These products include stamps and tape! I received some great sample products to review. I am very pleased with these products! They are fast and easy to use! Just stamp or roll over the info I want to cover up! used them to cover up my account numbers on my credit cards and other bills that I threw away. This is what the stamp looks like! Its great for covering addresses! 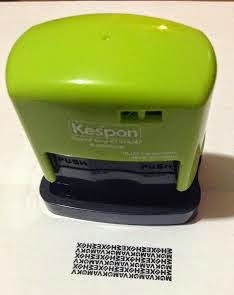 It comes with a cover on the bottom so that the ink doesn't get every where while not in use. Here is what the tape looks like! 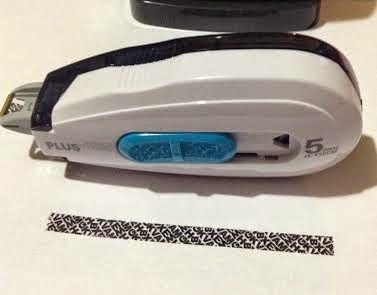 The tape is great for covering any single line items such as account numbers! Guard Your ID products have proven to be a popular tool in the fight against identity theft. The Guard Your ID Stamp was introduced first in Japan in 2007 and sold over one million units in it first year. In 2008, it was listed as one of the top selling products of the year. The great success of the original Guard Your ID Stamp has led to the introduction of other PLUS security products including the Roller, the Mini Stamp and Camouflage Tape. Stamped documents are easy to recycle. Visit Guard Your ID (GYID) today and save 25% when you use promo code BLOG2014. Promo code will expire September 30th so get your Guard your ID products now!! I give these Guard you ID products a HUGE thumbs up! They dont take up much room on my desk and they are easy to use.